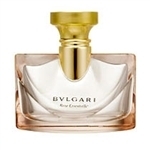 The ultimate in pure luxury, Rose Essentielle perfume by Bvlgari is a tribute to the world's most prestigious flower - the rose. The ultimate floral expression of luxury and absolute femininity, it is a rose-floral interpretation of the Pour Femme fragrance. Rose Essentielle perfume has notes of Rose Prelude, Blackberry, Feuille de Violette, Living Mimosa, Jasminum Sambac, Patchouli and Bois de Gaiac. The pure luxury of the rose is prevalent ln this perfume. I have found that this is one of my most favorite perfumes and it stands alone as the best smelling rose perfumes on the market. I wear it frequently, every other day and I always get several compliments when I wear it. One of my favourites and always will be, it is a beautiful and feminine frangrance. Iâ€™ve heard wildly coasrntting critiques from friends who have seen this movie. I used to wait until something like this came out on DVD, but that wonâ€™t work anymore with this technology. Now Iâ€™m anxious about spending big money on a new flat screen and sound system and then not liking any of the movies that come out if anymore come out at all and if not will my 3-D equipment wind up like my old quadraphonic sound system, 8-track player, and lava lamps? This goes beyond depressing! I foresee a LOT of Zoloft going down and I hope the Blue people (no offense intended to the Blue Man Group) will be happy! !